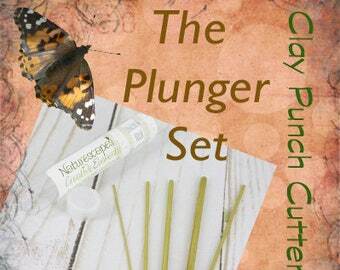 Never cut a wonky strip of clay again! The Gang Blade Strip Cutter is the tool to make cutting strips a breeze enabling you to have even width strips for any project. The two blades are adjustable from 2mm to 1" wide by adding and removing the spacers included with the kit. 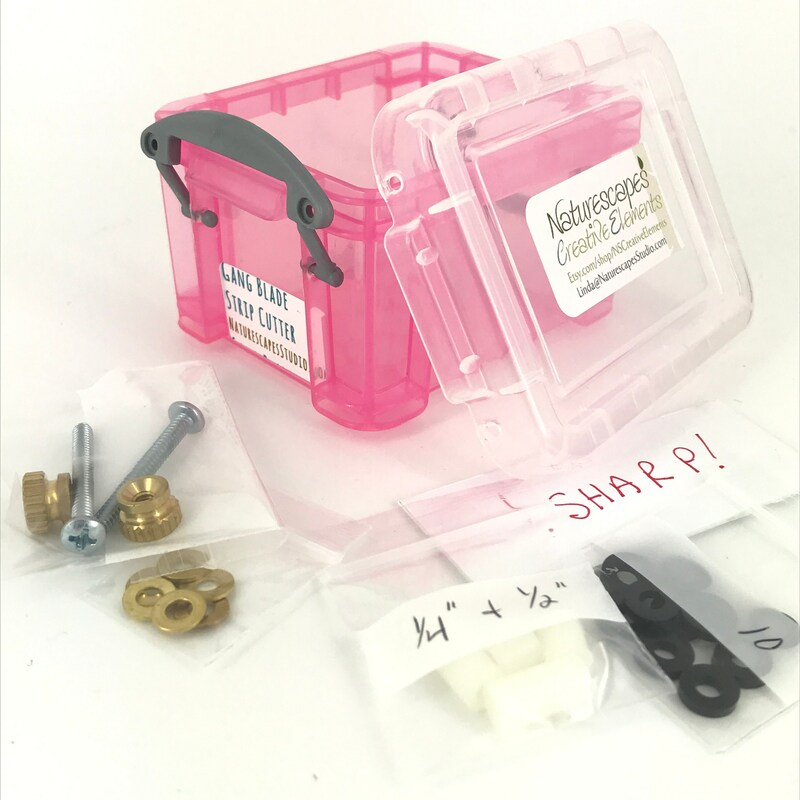 Both brass and plastic spacers help you make multiple combinations that fit any requirement. The thumb screws tighten the blade - spacer - blade sandwich but are easy to remove to change out the spacers. Working on a glass surface is the best way to use the Strip Cutter. It helps to secure the clay in place and minimizes making the cutting surface. No heavy pressure is needed. Just a firm, even swipe the length of the clay strip. I love it for making base strips to fill the channel of a brass bracelet blank (shown). Weaving in clay? Grab one of these tools for your kit! With care, the blades and parts will be serving your needs for years to come! ***Use caution when assembling and disassembling the tool! Always point the sharp edge away from your fingers and down, holding the blunt edges when adding the screws to tighten.